All the features of a SUPER BLUE 2 system in a fully integrated, disposable kit designed for today's high quality and fast paced demands. No more net adjustments. No more net replacements. The Super Blue 2 LT "Less Time" anti-marking, anti-static system incorporates the StripeNet anti-marking net and the base cover into a single integrated piece. Simply remove and replace when needed. No more wasted down time washing your anti-marking system. 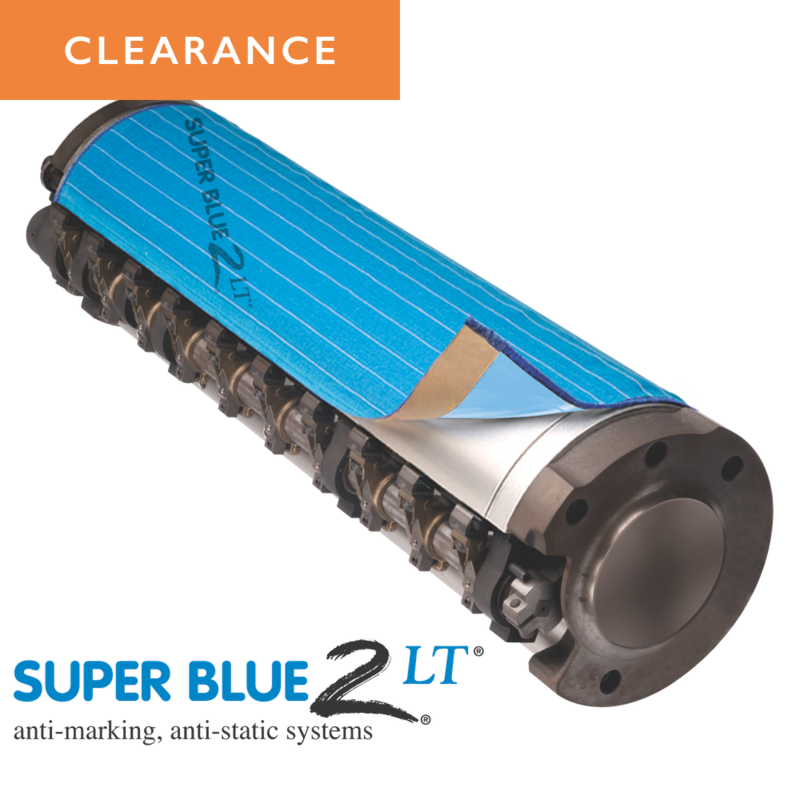 The Super Blue 2 LT system is 100% never-wash. Just take off the old one and put on a new one. No more spray adhesives. No more messy installation procedures. Simply peel the backing off the specially formulated tape and stick it to your clean cylinder. And when it's time, it comes off without leaving that sticky residue behind.